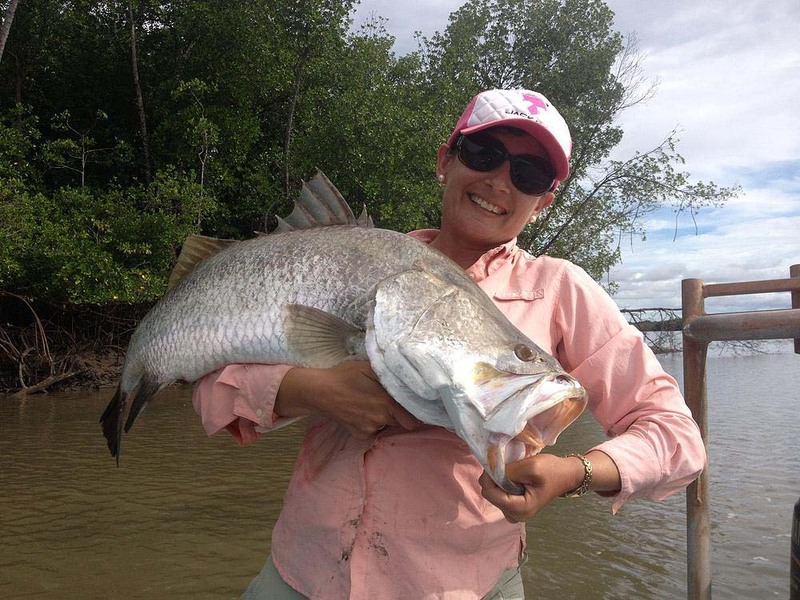 The first time we visited and fished the fabulous remote region of The Gulf of Carpentaria, we knew we had found something very special to share with our angling friends. 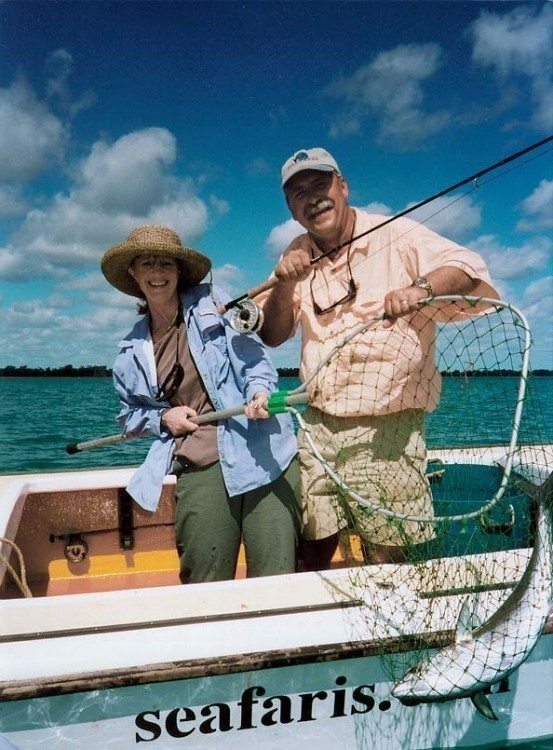 That was 18 years ago, since then we have sent many anglers to this magnificent fishery and time after time they come home saying, “that was the best fishing trip I have ever been on”. We know of nowhere else in the world where you can fish remote fresh and saltwater wilderness rivers, estuaries, flats and shallow inshore reefs and open waters, or just grab your rod and chase schools of fish down a deserted beach in your bare feet. 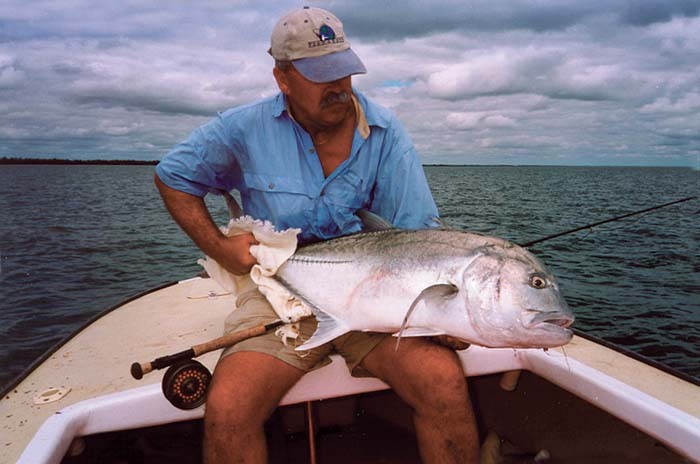 You fish from specially built sport fishing skiffs, plug casting and fly fishing to structure for barramundi and mangrove snapper, cast to schools of boiling queenfish and trevally in the river mouths, stake out on the flats sight fishing to Indo Pacific permit, giant ladyfish and others, or chase down schools of busting longtail tuna, barred mackerel and cobia in open water. The variety is incredible. In the same day you can catch high speed pelagic species in the blue water and sweet water exotics 30 minutes upstream. Over 45 species of gamefish are available… most of them are fish you have never seen before… all of them will peel line off your reel like a freight train. 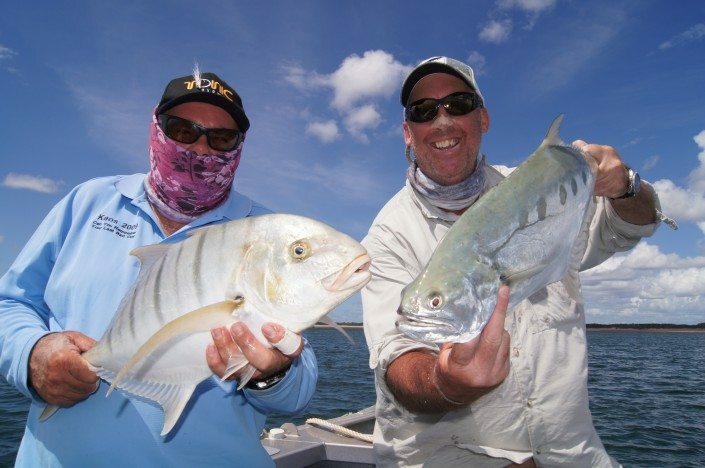 If you have an appetite for the greatest fishing, excellent cuisine, warm Australian hospitality and a very comfortable Live-Aboard Adventure, then let us send you down-under for the trip of a lifetime. Charters are tailor made for 7 days duration and after arriving at Seisa and transferring to the vessel On departure the skipper heads to one of the many remote wilderness rivers to commence your exciting adventure (tides and prevailing weather considered). River systems such as Ducie, Wenlock, Skardon, Jackson, MacDonald, Doughboy, Cotterell and all blue water areas in between. 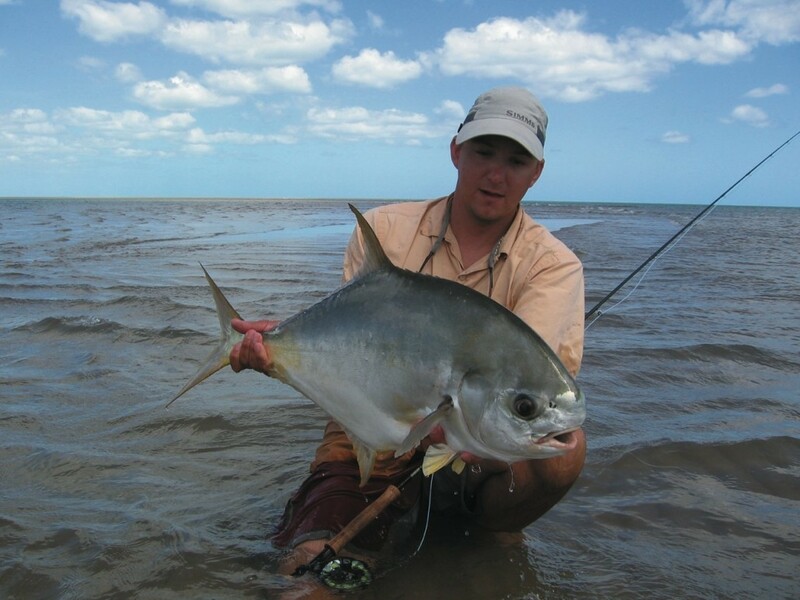 Upon awaking to a superb breakfast, all that’s left to do is transfer into the skiffs to fish these fabulous rivers. 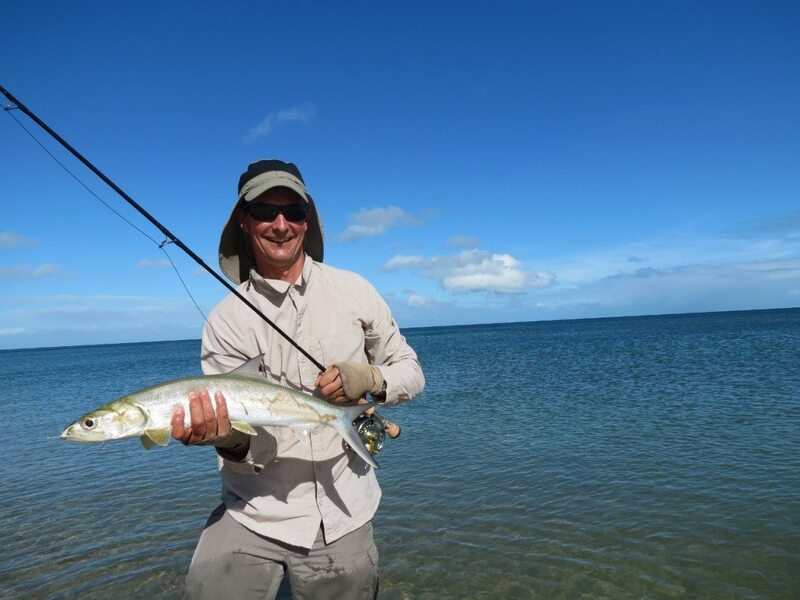 The tidal estuaries, white sandy beaches, nearshore reefs, rocky headlands and even fresh water rainforest reaches are accessible on good tides and this variety and diversity sure has your head in a spin with quality angling for the lure or fly caster. The species list mounts as you sample the fine flyfishing we offer – from permit and golden trevally off the beach, to saratoga and sooty grunter way upstream amongst the palm trees. 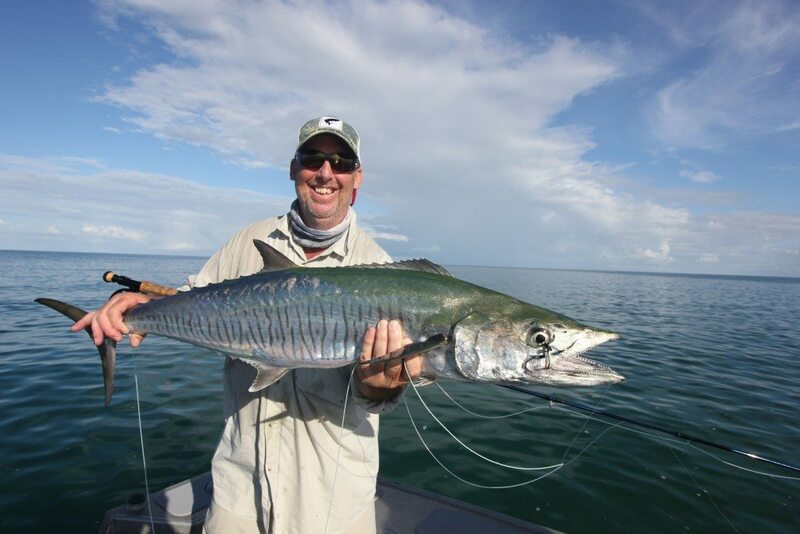 Prime saltwater barra, jacks and king salmon in the tidal zones to monster queenies in the shore gutters. 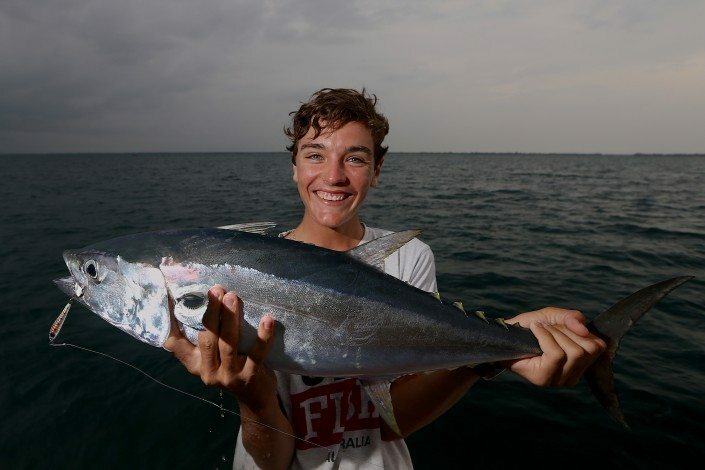 Hordes of longtail tuna offshore, two metre long barracuda & spanish mackerel near the reefs, to all sorts of trevally in between – now that’s quality fishing! 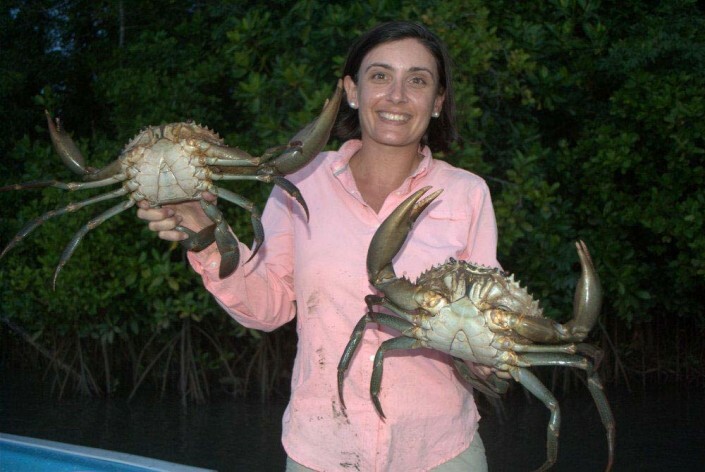 Working both north and south of Weipa, the emphasis is on catch and release, however fresh fish will obviously form a large part of the diet aboard, as will succulent mud-crabs. 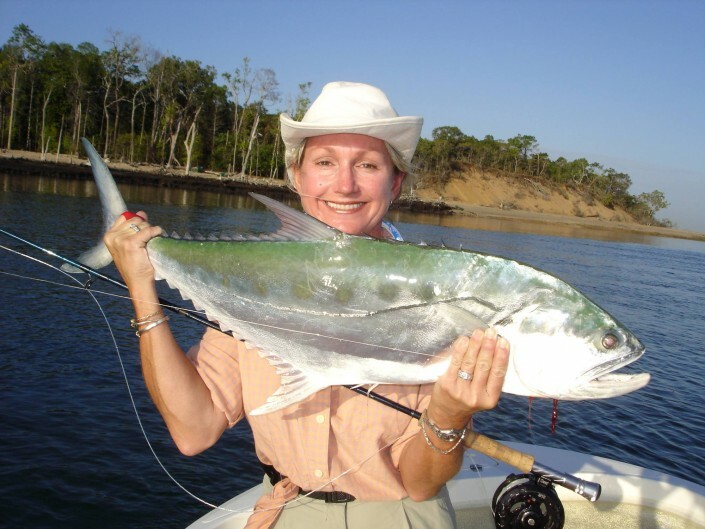 This is an all-inclusive, fully catered live aboard operation for a maximum of 8 anglers, so personalized service is guaranteed. 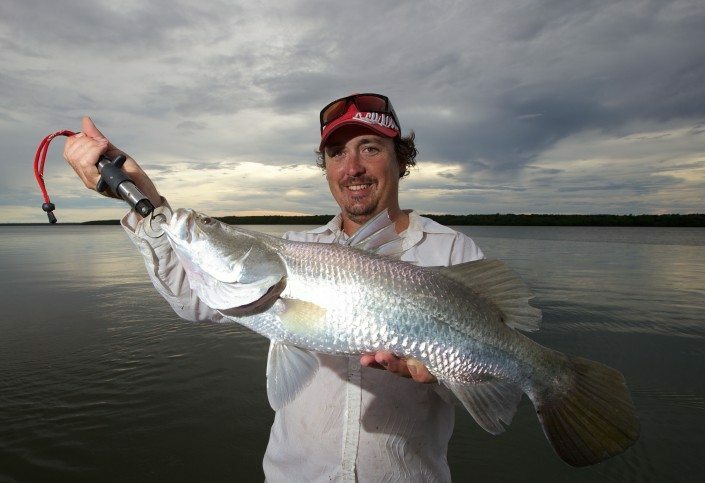 7 days and 6 nights fully guided fishing safaris from Weipa include 7 days fishing, all pick up and transfers from Weipa or Seisia, twin share accommodation, all meals, light refreshments, and quality tackle. Alcohol can be purchased after arriving into Weipa, during the transfer to the vessel. 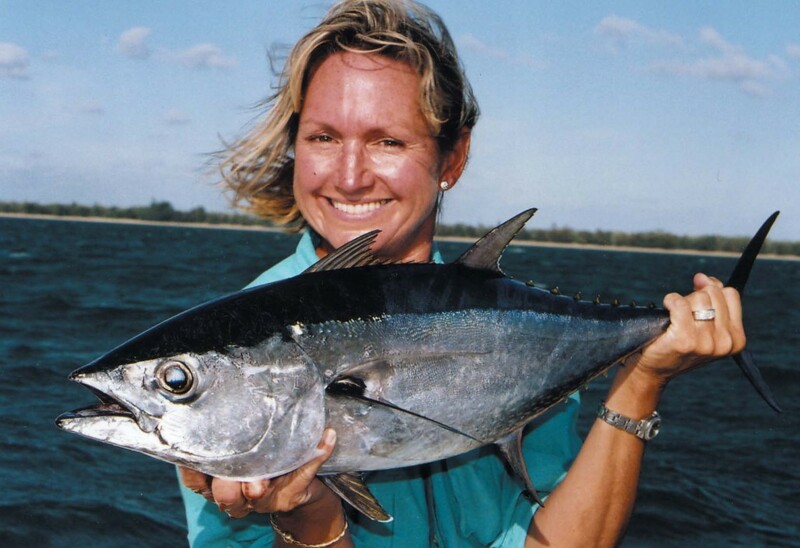 Fishing is conducted on a twin share charter basis with an experienced guide, and tackle is provided on a replace if lost broken basis (fly fisherman are encouraged to bring their own gear.) 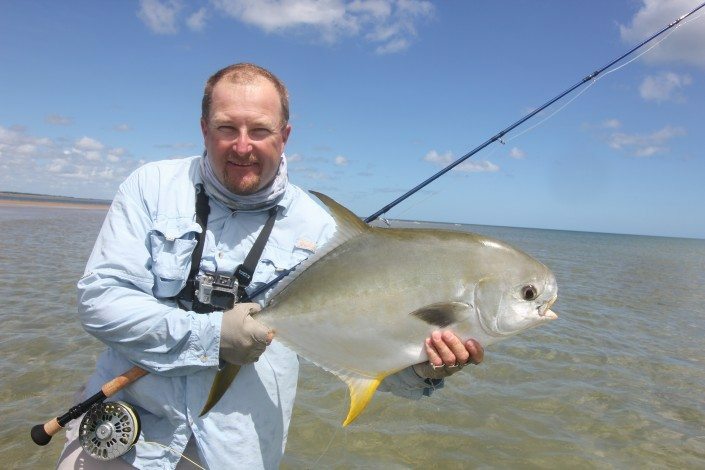 Fly fishermen please note that although flies and leader material are available, please bring along your favorite #8 – #10 wt outfit spooled with plenty of backing. 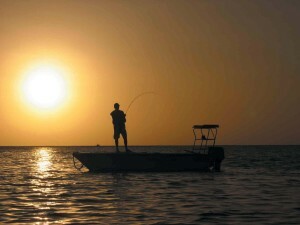 Your trip starts in Cairns, North Queensland, Australia “Marlin Capitol of the World”. Your roundtrip charter flight will take you to Weipa or Seisia depending on the weekly fishing plans. Your home away from home will be the ”Eclipse” a 52ft aluminum power catamaran where guests enjoy comfortable fully air conditioned accommodation. To ensure your experience is nothing but enjoyable they pride themselves in providing guests with high levels of customer service, a laid back yet professional atmosphere and mouth watering cuisine. With a small draft of 1m the vessel if perfect for sneaking into those secluded bays and estuary systems for the perfect anchorage. 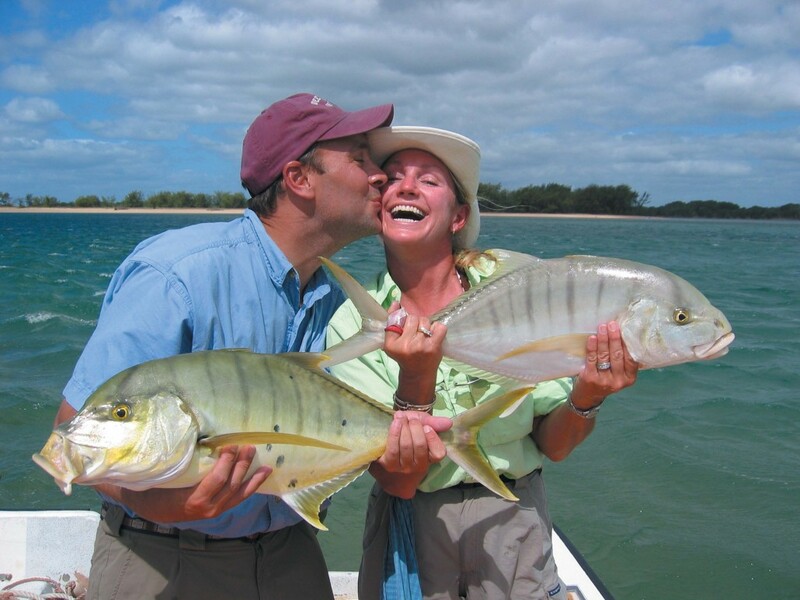 Fully equipped with modern conveniences and staffed with experienced and professional crew. The M.V. 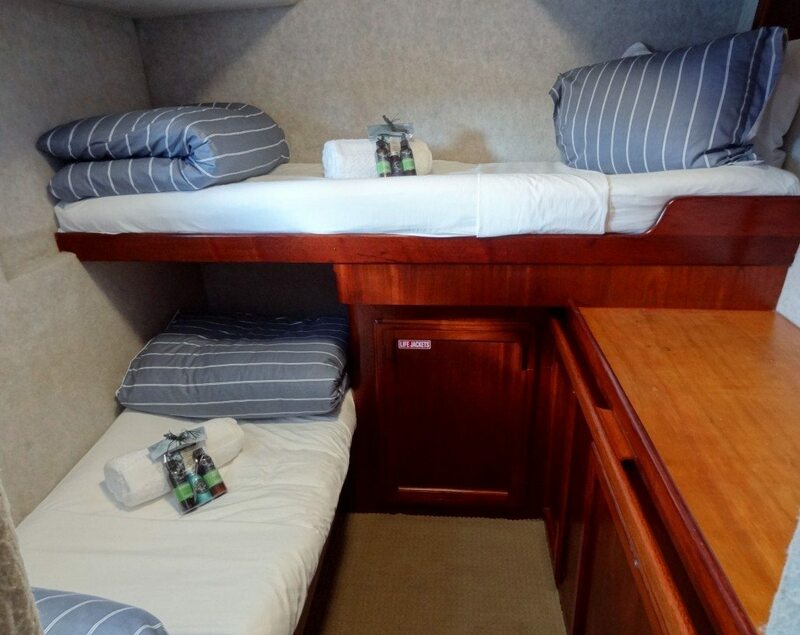 Eclipse a well appointed fully air-conditioned aluminum catamaran with all the comforts plus more. 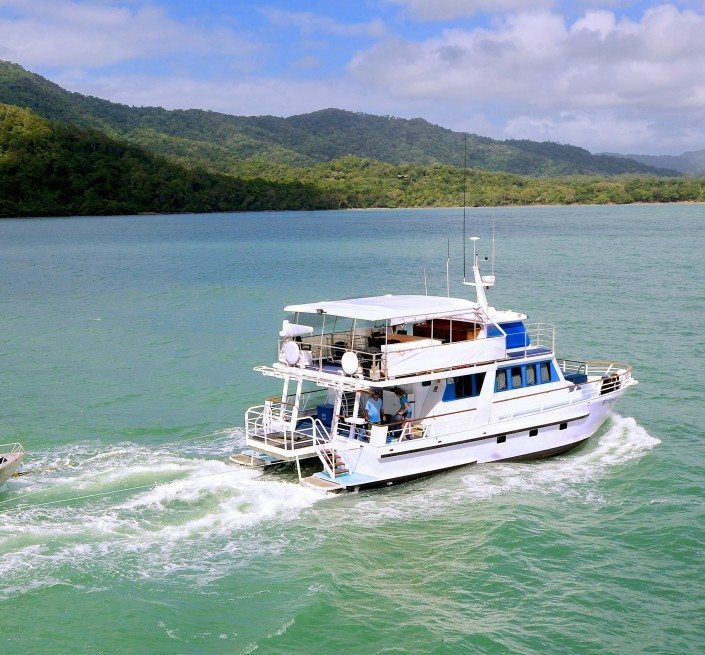 Eclipse is powered by twin 220 hp diesel motors and has full navigational equipment and has recently undergone a major refit in 2014 and provides modern living and working space. 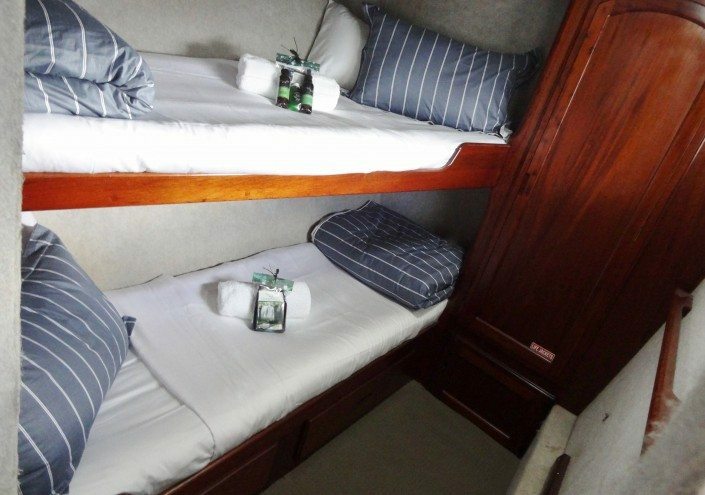 All accommodation onboard is fully air-conditioned. There are 2 x double berth cabins and 10 x single berths as well as two bathrooms each with its own shower/household toilet. The main living area and is fully air conditioned and includes a large open plan galley, saloon area which has entertainment facilities such as a flatscreen TV, DVD, Ipod and music station. 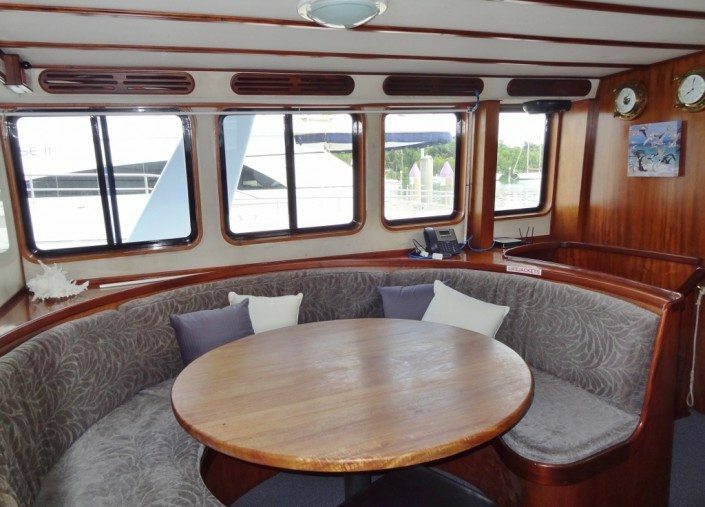 The Eclipse has a full walk around deck, and an inviting shaded entertainment deck which caters comfortably for onboard BBQ’s. There is nothing better after a day on the water than sitting down with a beverage, enjoying the sunset with some freshly made nibbles, whilst gearing yourself up ready for tomorrow’s action. 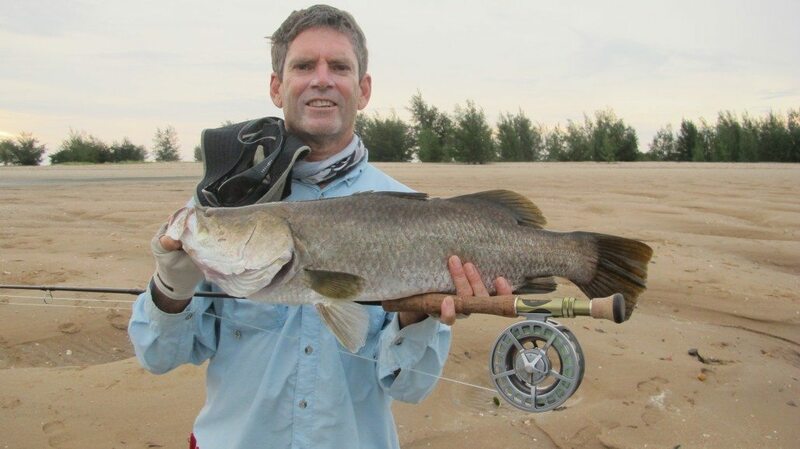 They have 4 custom made aluminum tenders which are designed for comfort and casting. These skiffs are designed with ample deck space specifically for fishing. 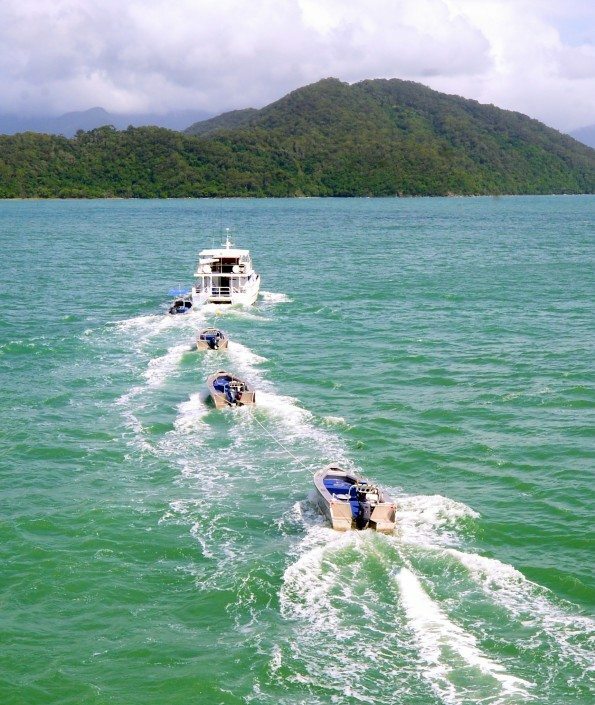 They are extremely well constructed boats powered by economical, quiet and reliable 4 stroke outboards. All of the vessels are fitted out with VHF Radios and are in regular contact with each other and the mothership for safety reasons and to assist the fleet with finding the fish. Based on 2 anglers per boat and guide, price will vary with exchange.